Records tumble at several railways. With passenger figures for 2009 now being published and record numbers of travelers visiting our country's preserved railways, its nice to see a common factor. 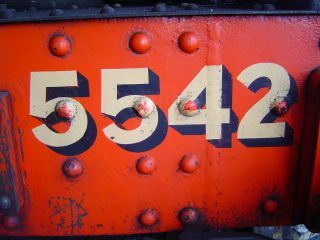 The South Devon Railway, West Somerset Railway and Gloucestershire Warwickshire railway all declaring record visitor numbers in the last few days, and there is one common denominator, our locomotive, 5542, has operated on all the above railways during the 2009 season. There is also very good chance that the Chinnor and Princes Risborough Railway will make it a Full House with four out of four record breaking railways having entertained 5542, or perhaps 5542 has entertained those railways last year ! 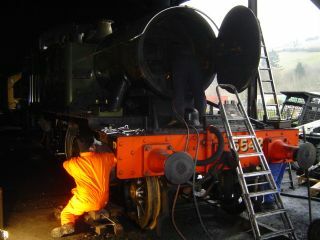 Arrival of 5542 a few days ahead of the Autumn Gala allowed us to progress one or two items of outstanding maintenance which were underway before the road transport left the site. Some attention was required to the L.H. 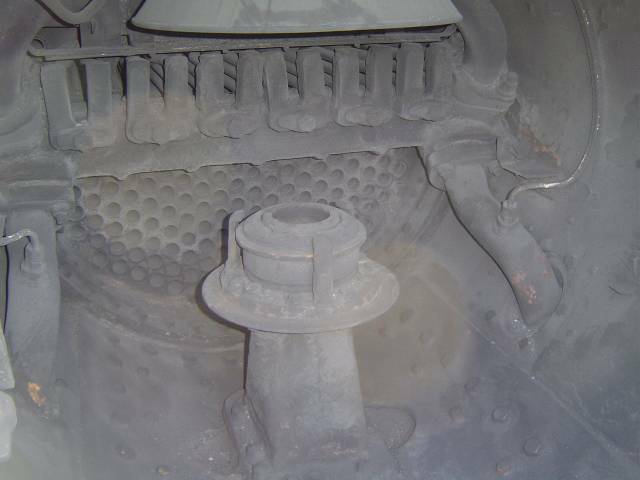 valves of which the problem was quickly identified and repair was soon completed. 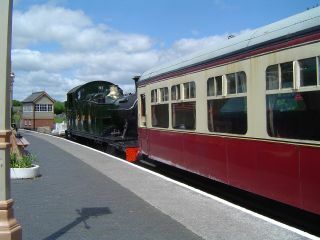 A warming fire was lit to allow for a test run the following evening, however that was never to happen as the following morning 88 was feeling very poorly and we were hastily pressed into service to assist 88 and its 8 coach load to Minehead, completed in fine style with '42 then covering the B.L. 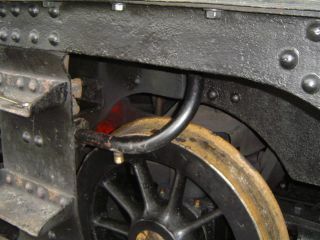 turn with a slightly reduced load of 7 bogies for the 2 days prior to the Gala. Fine performances were achieved during the Gala on all 4 days and a range of October service trains were also rostered, finishing our visit with 2 days of running during the Autumn Colours event. 16 days of activity were undertaken without incident during the stay. We then undertook the penultimate annual boiler exam of the 10 year boiler ticket (makes you feel a bit older) at Bishops Lydeard compound in the first few days of November which was successfully passed without requirement of any work. 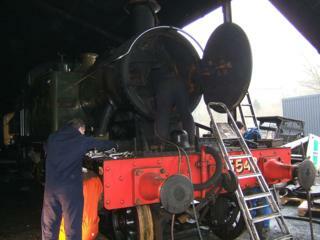 The loco has now returned to the G/WR for Santa and New Year duties. Many thanks to everyone who welcomed the loco back again and for their best wishes, hopefully 5542 will return (home) again before too long. 5542 arrived at Bishops Lydeard for its month long visit to the WSR that includes planned appearances at the Autumn Gala 1-4th of October and the Autumn Colours weekend 24/25th October together with several outings between. The early arrival has given us the opportunity to undertake a valve exam and undertake a few other smaller items that needed attention. 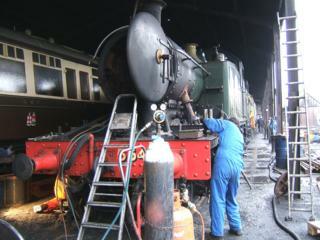 Amongst other things it has had all the small tubes cleaned and an oil leak on the steam chest draincock attended to. 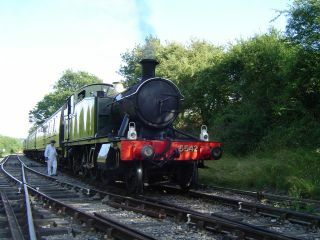 6/09/2009 Another Milestone passed During the recent stay on the Chinnor Railway 5542 passed the 700th steaming day in preservation. The event happened on 15th August with the total miles covered now just past 44,000 at an average of a shade under 63 per day of use. 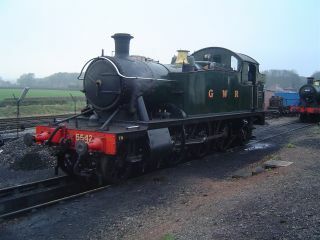 Watch out for glimpses of 5542 in the new BBC drama 'Land Girls' being shown all this week (07/09/2009) at 17.15. 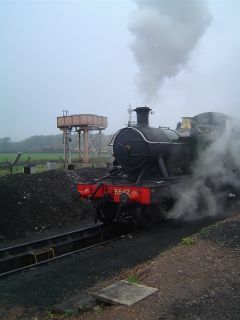 There is also a 1940's day featuring 5542 on the Gloucestershire Warwickshire railway soon. 5542 has now departed the Chinnor and Princes Risborough Railway following its very successful visit and is once again on Gloucestershire Warwickshire metals. It appears the planned working over the August Bank Holiday may have been changed so please check if you are travelling specially. 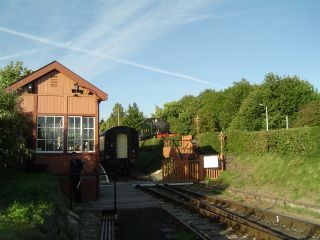 A few pictures taken at Chinnor are below and we look forward to future visits to this small and friendly railway. We would be pleased to receive any pictures taken during the Chinnor visit especially any taken on the Freight train special. All those published on this site will be fully credited. Despite gloomy weather on Saturday with many people staying at home Sunday was a much brighter day which brought out the crowds and our Fund Raising Tea and Cake bar did steady business ably supported by the Railway books and bric a brac departments which resulted in a useful sum being raised for our funds. We are again indebted to our stalwart gang of tea ladies who pulled out all the stops to keep the visiting public fed and watered. for £16 per ticket including Fish and Chip supper. 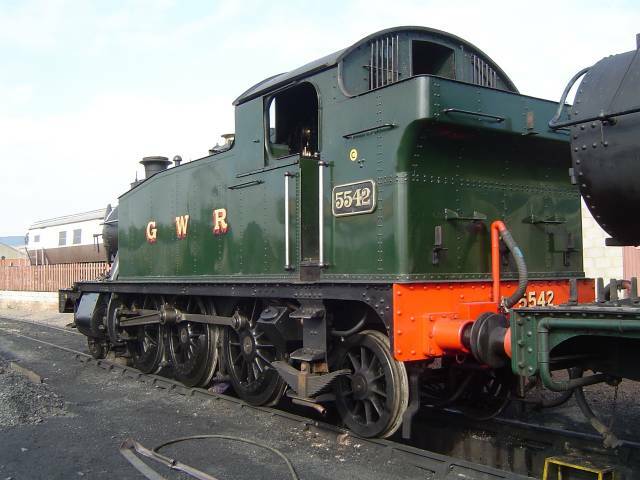 Our Loco will shortly be returning from its extended winter stay at the South Devon Railway to the Gloucester Warwickshire Railway where it will resume duties on their service trains. 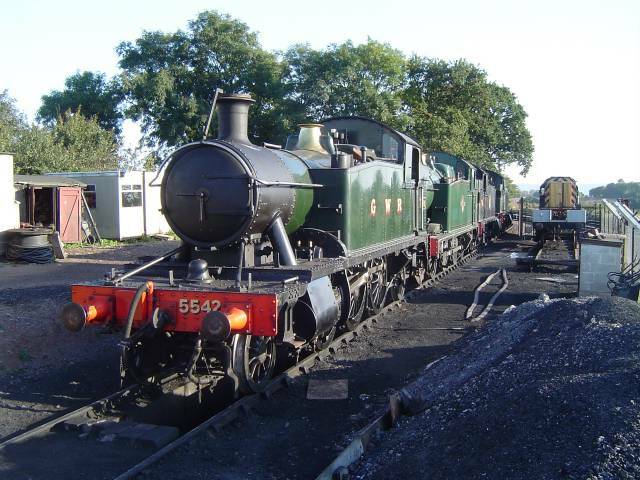 However it will be on the move again early in August when 5542 will be paying its first visit to the Chinnor & Princes Risborough railway for most of the month. A good session of Auto running is planned for all the Saturdays of the stay and some Sunday appearances alongside resident Pannier 9682, culminating in a Gala appearance over the Bank holiday weekend. 5542's winter stay at the South Devon Railway has been extended by a few days and our turns at the Gloucester Warwickshire Railway are being covered by 5526 which is 'stopping off' at Toddington on its way home following its successful appearance at the Steel Steam and Stars Gala held recently at the Llangollen Railway. 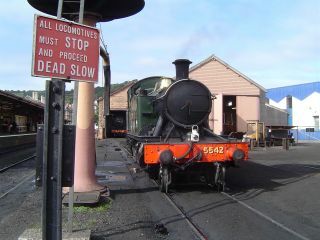 5542 will cover 5526's rostered turns at the SDR and the short exchange of duties is to relieve the pressure on the steam loco road transport operations due to a large number of moves within a short period of time. It is also a strong indication of the co operation enjoyed between those operating the locos and the railways involved that agreement for these moves and visits can be arranged with the minimum of notice and formalities. 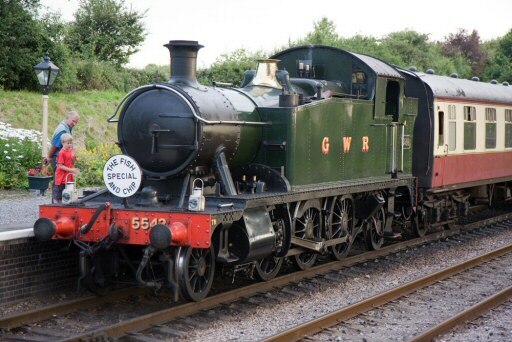 It appears that the respective railways so like their temporary locos that the 'swap' arrangement has now been extended until the first week of June, so 5526 will undertake the G/WR Gala Auto services, with 5542 making a number of appearances on service trains at the SDR. We hope ardent followers of the respective locos are not disappointed at their extended 'holidays'. The winter maintenance program is now nearing completion with just a few small items still outstanding. However our desire to fit the front end Auto Gear continues to elude us so that has had to be put on hold again. It continues to be a job that we want to complete especially as we have much of the hardware required already manufactured. 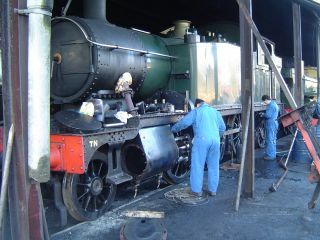 The loco will undergo its annual boiler test early next week and we can then look forward to another season of running. 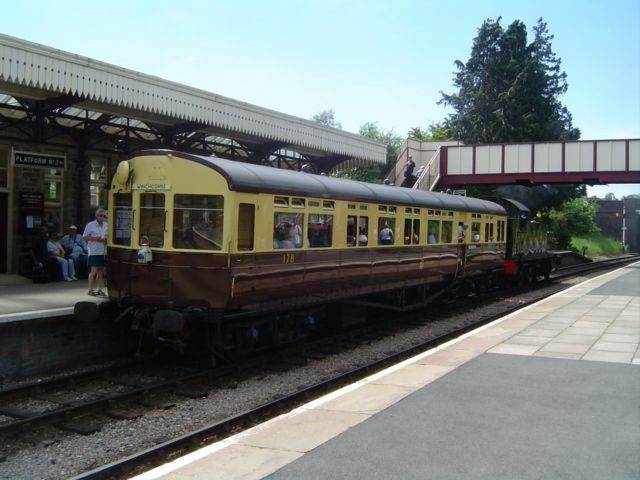 We are very pleased to be included in the South Devon Railway's 40th Anniversary celebrations in a few weeks time and look forward to some varied and interesting turns. Click here and here for more details. It looks fairly likely that 5542 will also enter new territory on a visit later this year and we will confirm details as soon as we can. Hopefully some Auto working will also be part of the package. The final figures for 2008 are now available with the loco performing on 3 railways during the year, steaming for a total of 83 days G/WR 52, WSR 28 and SVR 3, and covering 5093 miles. As we enter the last 2 years of the boiler certificate there are 42138 miles 'on the clock' achieved during 660 days of use. 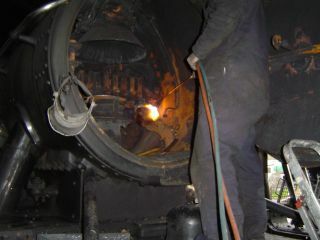 Winter work continued at Buckfastleigh, and tasks undertaken included removal of the right hand steam pipe and preparation for left side cylinder and valves for inspection along with refitting of injector pipework following fitting of drain valves. Tony Brooks and John Wood removing Left Steam pipe, Ray Lee looks on. 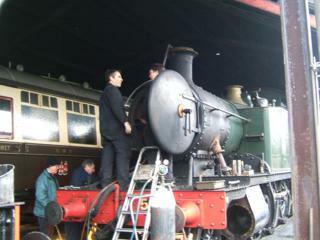 Ray Lee and Ian Salt discuss Smoke box work. 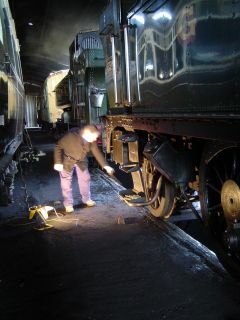 A Gang of 6 members visited the SDR at Buckfastleigh on 24/01/2009 to ensure the program of winter maintenance was kept on track. 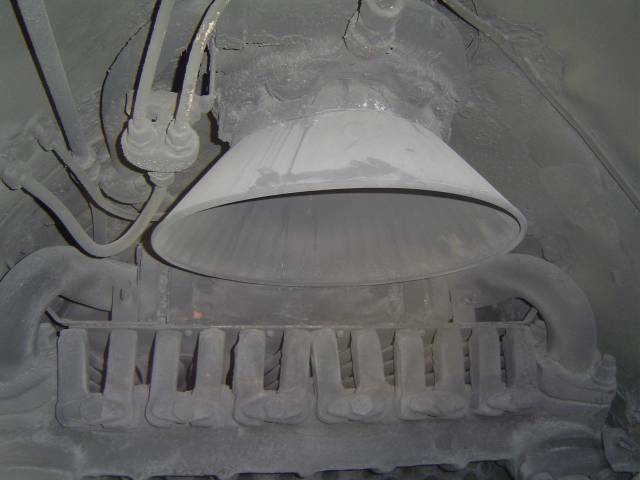 Work undertaken included removal of the front R.H. cylinder cover, dismantling the R.H. main steam pipe cladding along with removal of injector delivery pipework for cleaning and scale removal. 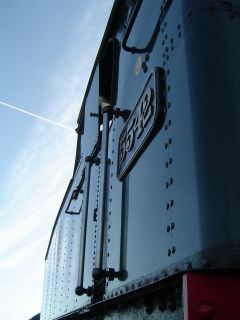 Photo Details: Top Left-The front Bufferbeam number is now beginning to show the 'workworn' look after 6 years of use. 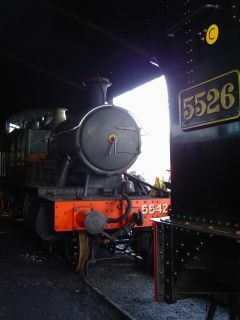 Top Right-In Good company with 5526 at Buckfastleigh Loco Works, 5552 was also close-by undergoing axlebox attention. A Feast of Small Prairies. Bottom Left-Tony Brooks and Gil Bird get stuck in to dismantling work. 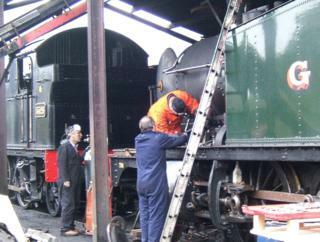 Bottom Right- Roy Palmer 'in action' passing tools to Ian Aldridge (under loco). 13/01/2009. 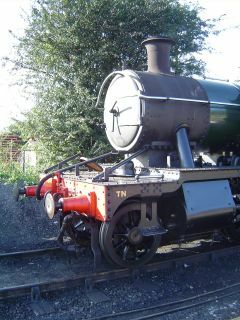 Following another successful season at the Gloucester Warwickshire Railway our loco has recently returned to The South Devon Railway for some routine winter maintenance ,attention to a Little End bearing and fitting the front end auto gear postponed from last year. We also intend to fit the auto train electric communication system on the loco. All the above event details are listed in good faith for more details please contact the Event organisers. Other events will be added when details are confirmed. We are always welcome your contributions of suitable items of a transport nature for resale. 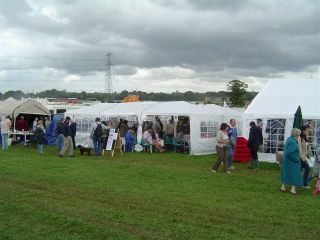 Please bring items along to events where Sales display is in attendance or contact us via this link. chips will be of a high standard. Please let John Wood know if you would like to join us for this event. All offered subject to availability.